Gator Bites, Issue #046 - Breathe Easier! Spring is in the air! We've had a rainier season than normal, with more extremes in temperature ..... but we've had some very delightful weather the last few days with low humidity, lots of sunshine, and temps in the low 80's! In this issue, I feature pages about Island Cafe, Taste of the Cape, and the best place to live with asthma. 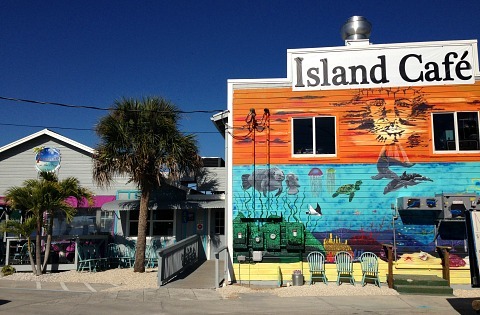 Island Cafe on the Bay is one of the newest restaurants to open in the area. It's located on the Cape Coral side of Matlacha where Toucn and Moretti's used to be. They feature broasted chicken, seafood specials, and the best views of the water around. You simply must go ...... they're open for breakfast, lunch, and dinner. They face west so the sunset dining is fabulous! Taste of the Cape is a new festival in March for Cape Coral. Over 20 restaurants set up booths and sell samples of some of their dishes to entice you to come to their establishments. It's a great way to figure which ones to try if you have limited time and/or resources. Live music and activities add to the fun! Did you know that Cape Coral has been nominated as the Best Place to Live with Asthma? Gulf breezes and low pollution are some of the reasons why. Find out more by going to the page! 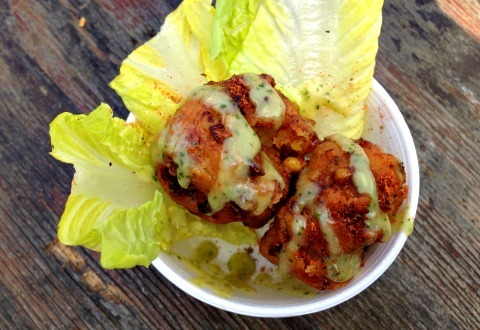 I love sending you food pix, and this month I'm sending a photo of the Crab and Corn Beignets I sampled at Taste of the Cape. 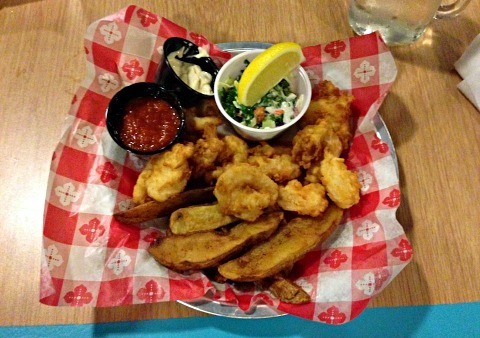 And as a bonus, the Broasted Shrimp Basket from Island Cafe ...... both were delicious! My next newsletter will come out the beginning of June. George Patton and Associates is the best realtor! He found me my place, which I absolutely love. Several of my Come-to-Cape-Coral readers have used him, and he's been able to find them homes too. Archer Airboat Tours offers airboat tours out of Matlacha. You haven't really been to Florida until you've gone airboating, it's so much fun! Bayview Bed and Breakfast is a delightful waterfront inn on the Cape Coral side of Matlacha. Relax, enjoy nature, go canoeing and kayaking, and check out area boutiques and galleries. Island Cafe on the Bay serves up mouth-watering food, live music, and amazing waterfront views! Stellar Business Funding provides cash advances, short term loans, equipment leasing, and credit card processing for small businesses. Sunset Celebration the first Wednesday of the month. Art and Music Walks first and third Saturdays. Live music and Ladies Night at Longboards at Fathoms on Tuesdays and half-price pizzas on Wednesdays. Live music at The Nauti Mermaid on the weekends. 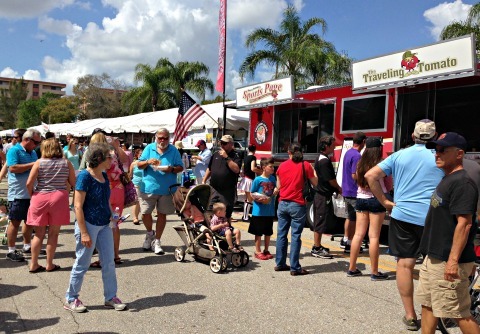 Check to see what Cape Coral Festivals are happening this month. 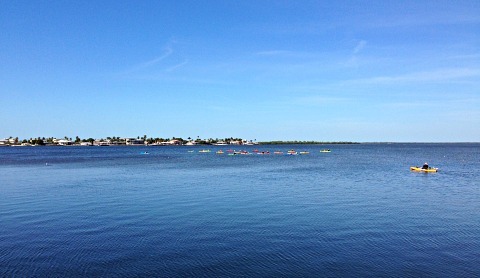 Get ideas for things to do by going to Cape Coral Attractions. Come to Cape Coral for vacation! Look for 3 places in the ebook where it says "treasure" in blue. Click on it, because each is a link to one of 3 pages on my website. Each page is a place that I think is a treasure in Cape Coral. Once you figure out the 3 places, email me from my Contact Me page and I will send you a password to a secret page with more information about buying real estate here in Cape Coral.